You don’t have to come to us! We come to you! After you call the office, one of our friendly agents will be dispatched to meet you at the jail. We do everything right there! One Stop Shopping. We know very few people have gone through this process and we want you to know that we are here to help. We are your advocate throughout the entire process. Call us and talk to one of our professionals, we’ll ease your worry and your stress. At A-1, you have one price. There are no “after the bond is posted” hidden fees, no “application fees”, and no fees to get your collateral returned. We make it easy. Call now and we will get you. your friend, or your loved one out today. We have local agents in Detroit, Pontiac, Novi, Howell, Flint, Warren, Livonia, Westland, Wyandotte, Southgate, Muskegon, Hillsdale, Southfield, Genesee County, and St. Clair County! 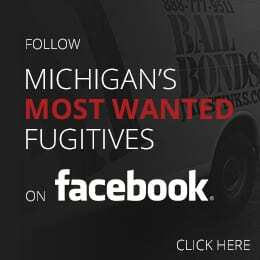 A few of the jails that we service are: Wayne County Jail, Dickerson Jail, Mound Detention Center, Oakland County Jail, Washtenaw County Jail, Livingston County Jail, Kent County Jail, St. Clair County Jail, Monroe County Jail, Muskegon County Jail, Jackson County Jail, Kalamazoo County Jail, Branch County Jail, Hillsdale County Jail, Missaukee County Jail, Calhoun County Jail, Ingham County Jail, Coldwater Jail, Genesee County Jail, Allegan County Jail, Mason County Jail, Oceana County Jail, Ottawa County Jail, St. Joseph County Jail, and Mecosta County Jail.